Cristina said: "The third of the excellent trio in the same hundred square yards in West End, more chaotic than Caledonia or Thistle. You’ve got to (literally) delve into pyramids of books, forget about any kind of order, alphabetical or otherwise, and share the armchair with a large ginger cat. You’ll find a lot of interesting stuff if you’ve got time and patience, though." 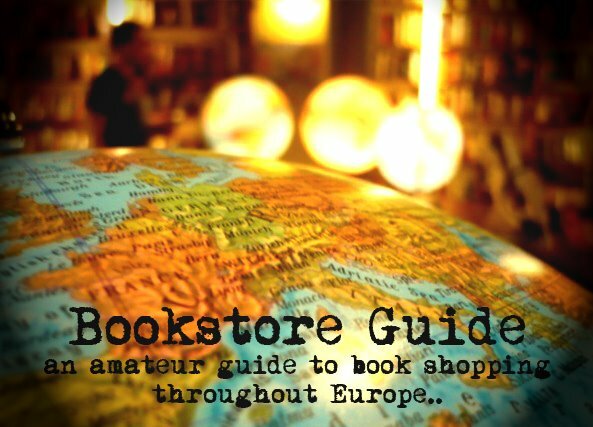 Although its name may suggest otherwise, this great second-hand bookstore can be found in the largest city of Scotland - Glasgow. 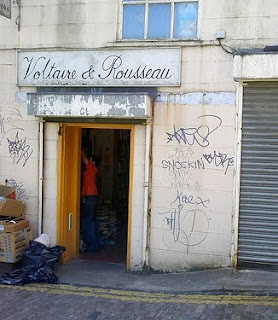 Voltaire and Rousseau was founded by bothers Joe and Gerard McGonnigle in 1972 and since Gerard's retirement, it is run by Joe and his other brother Eddie (both book collectors themselves of course). Almost four decades of the shop's existence are reflected in its character and looks. Although if you try a bit harder the books do seem to be divided into several categories (such as Scottish interest, philosophy, poetry or theology), the randomness factor still dominates the stock's arrangement. Upon entering, you will find yourselves in a silent world full of words waiting to be read in the thousands of tomes that fill this place. 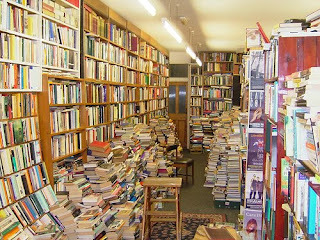 For some a chaotic mess of dusty books, for others an invitation to forget about the outside world and start exploring. In fact, browsing in Voltaire and Rousseau really is an adventurous task, as you have to either dig through the piles or try to avoid them in the limited space, and you never know when you will stumble upon the cat which is at home here. The bookstore is very popular especially among students and some of its regular customers visit the store for several decades (those are not students anymore, hopefully). However, its future existence in Glasgow's Otago Lane is threatened, as a development project which would change the face of the whole street is presently being considered. As the old-school Voltaire and Rousseau doesn't have it's own website, we're adding a link to their profile on the Save Otago Lane website instead.